What was it like in early Anglo-Saxon times? Perhaps we will never really know. Walk in the footsteps of our ancestors, explore their homes, see the evidence for yourself - then make up your own mind. At the Visitor Centre you can find details of the Natural History of the Country Park, and get access to the Anglo-Saxon Village. As part of your visit to the Village you can also view museum exhibits from Pre-historic fossils up to Medieval items. These exhibition cases in the Visitor Centre itself were transferred from the Moyses Hall Museum in February 2007. West Stow's shop in the Visitor Centre sells all kinds of souvenirs, replicas and resources, many of which are unavailable anywhere else. There's something to please everyone, from families with young children to academics. 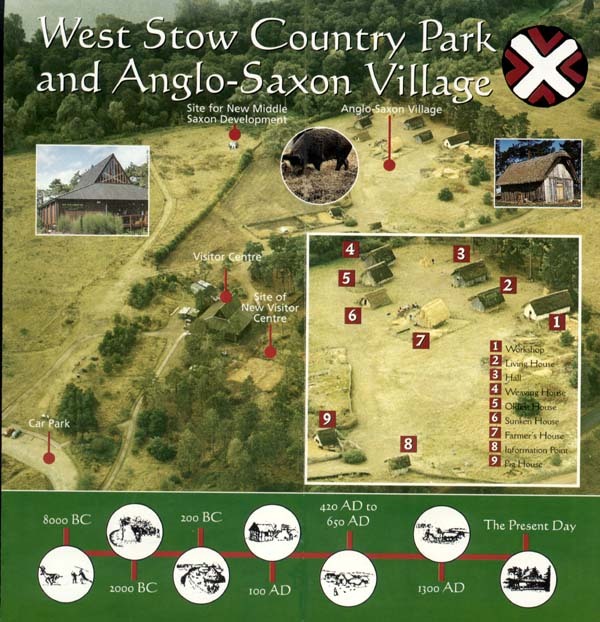 West Stow Anglo-Saxon Village lets you explore the way our ancestors lived. 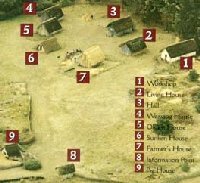 The early Anglo-Saxon village (c.420-650AD) has been carefully reconstructed where it was excavated. Experimental archaeology has provided new ideas on what life was once like at West Stow. In the new Anglo-Saxon Centre, objects from the original village are displayed, telling the fascinating story of this settlement and the people who lived here. Seven buildings have been reconstructed on the site where they were excavated; you can explore them, see pigs and chickens and absorb yourself in the atmosphere. Children and adults love trying out the furniture, working out what objects are for and seeing how each building is different. There is an introductory video before you go in, which tells the story of West Stow. The Anglo-Saxon Centre is located below the Cafeteria, but is only available as part of your ticket to visit the Village. In the centre you will see facinating displays of some of the objects found during the excavation of the village (try to match them up with the replicas you have seen in the village), plus an exhibition of Replica Anglo-Saxon costume. Every aspect of life is covered, from fashion to farming, crafts to cremation! Early Anglo-Saxon material from West Stow, Icklingham, Westgarth Gardens and Eriswell is displayed. With its view over the reconstructed village and the Country Park bird feeding area, Angles is a restful place to get a hot or cold drink or snack. Beyond the car park, play area, visitor centre, shop and cafe is a 52 hectare Country Park bursting with life. There are plenty of opportunities for picnics, walks and trails in woodland and heathland, along the River Lark and around the lake. There are two bird hides, a nature trail and lots of other walks in the park or across the road in Thetford Forest. How long is a visit? Most people spend at well over an hour exploring the Anglo-Saxon village and centre, longer during special events. If you want to make a day of it, don't forget there are walks in the 125 acre Country Park, a play area, shop with all kinds of unusual gifts and Angles, the spacious cafe. Will there be people in Anglo-Saxon costume? 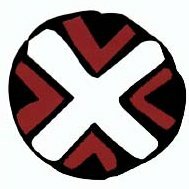 "Anglo-Saxons" may be living in the village on special day events only. Entry to the Country Park and parking are free. For the Anglo-Saxon Village and Centre, the prices are: Adults � children and concessions �(under 5's free); Family ticket �.00 (covers up to 5 people, with a maximum of 2 adults) Prices change during some special events. All prices are correct at 2009, but are subject to change without notice. Events can involve all sorts of activities, from guided tours to activity days and groups of costumed Anglo-Saxons living in the village. For forthcoming events please contact West Stow to confirm details before visiting. Additional entry charges usually apply for special events at West Stow. A range of courses is held each year, each looking at an aspect of Anglo-Saxon life, Craft or culture. Usually, no specalist knowledge is needed, just enthusiasm! Advance booking is essential for all courses as numbers are limited. Please phone +44(0)1284 728718 for details. The Anglo-Saxon Village and Anglo-Saxon Centre are open from 10am-5pm daily. (last entry at 4pm.) The Country Park is open from 9am-5pm in winter; 9am-8pm in summer. Cafe and shop opening hours vary seasonally; please check.